It is an exciting time to be a scientist; as information increases, scientists around the world are doing even more innovative and fascinating research. Understandably, the general public wants to know about scientific advances – and they need to know in order to make informed decisions about everything from government policy to their own lifestyle choices. At the same time, the information explosion means there are many more ways for the public to get their information now, with big differences in quality and reliability among sources. This situation has created a widening knowledge gap between scientists and society, and an urgent need to fill this gap. Scientists can solve this problem by helping the public better understand their research. This will certainty lead to a major credibility of the importance of their matters, better education of the societies, and clarify where some of the Government funding is going to. Furthermore, great science communication can capture the imagination and curiosity of some new minds to fight against the biggest challenges of our era. There are many ways and reasons for scientist to be storytellers. Here, I mention some of the most relevant insights that I have gathered in my journey so far. 1. Connect with people; science is not just an individual thing. One of the best feelings a scientist will ever experience is to discover something that no one has ever known for the whole history of humanity. I know that is pretty cool, and it is totally fine to enjoy your moment for a while. Most likely, if you have reached that point in your career, the next step will be to publish it one of the top journals in your field. If you succeed, you have finally arrived. But no, wait. Coming back to Earth, most of these journals are inaccessible to the average person; even if a non-scientific citizen happens to read that paper, they probably won’t understand much of it. As scientists, we have a responsibility to inform and excite people about what we do and why we do it. Most of us are funded by government grants paid by taxpayers’ money. In return, we owe taxpayers an explanation about the impact our science will have in their lives. 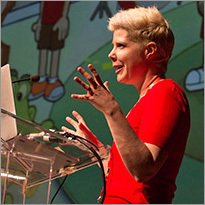 We have to make our ideas more accessible to people, and that doesn’t mean dumbing them down. I can tell you that people are amazingly thankful when you go and talk to them and they finally have the chance to ask questions directly. 2. 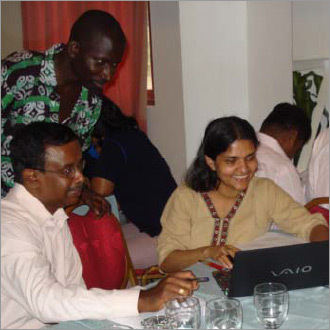 Enjoy scicomms training while strengthening your CV. Although the number of science communication conferences and workshops has increased in the last five years, especially in leading research countries like the UK, most scientists still lack basic science communication skills. I encourage scientists to take every opportunity to communicate their science to people. This will result in a gradual change that will help scientists to overcome their fears of science communication. 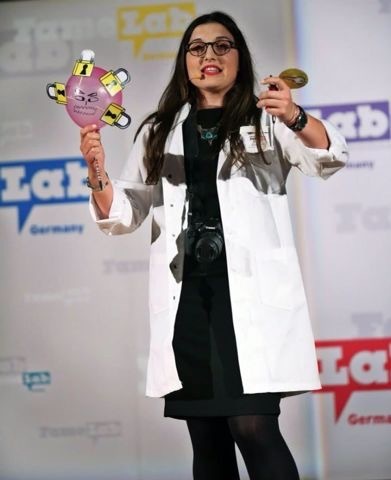 A year later I took part in FameLab Germany. FameLab is an international science communication competition organized by the British Council, with a similar format of 3-minute presentations. I made it to the final stages and was selected for a 3-day master class in Berlin. Here, I got a chance to learn from some of the best journalists of BBC news and other science communication experts. We got an intense and humorous training, including a simulated press interview in which were asked questions we were not prepared to answer. All this was being recorded by video cameras that also added to the overall experience. We also learned the importance of body language while giving a talk, and how to use timing and pauses to make our speech more meaningful and attractive to the public. Overall it was a great training to get more self-confidence for giving talks and made us aware of the importance of having effective communication skills. Nevertheless, if there is something I won’t forget, it is the crowd of a thousand people queuing on a sunny Saturday to get into the auditorium and listen to us talk about our scientific work. That amazed me to see that society does care about our research. From then on, I have been always involved in the sharing of science, not only in science slams but also in every possible way. 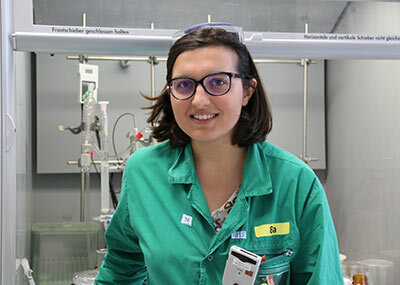 The values and experiences that I have gained have given me extra confidence in my research, in presenting at scientific conferences, in completing grant applications, and in communicating with the media. But above all, it has broadened my scientific outlook beyond the little bubble of my lab. And of course, all these activities add to your CV and give you a sense of achievement. So for those of you who think it might be impossible to undertake any extra work during research, just remember that the society needs to be aware of your findings, and the only way to do it is to get out there and tell people. 3. Encourage the new generations. Where will the next generation of researches come from if we don’t show people how fascinating and rewarding science can be? Will the next celebrity scientist please stand up? School science fairs should be tremendous events that excite students. Regional and national science fairs should be broadcasted, publicized and covered by the media. We need to celebrate our scientific achievements. And we need to find – and be – role models in science, engineering and mathematics whom children and teenagerscan aspire to be like. In Dresden, where I undertake my PhD studies, there is a strong culture of promoting science among young generations. 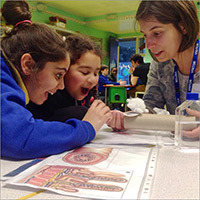 Many research associations based here have exciting programs in which scientists go to primary schools or students go to their labs to be researchers for a day. For example, programs are offered by Max Planck, Helmholtz and the Technical University of Dresden. It’s a great way to inspire the new generation of scientists. 4. Break down the stereotypes (science is cool). You would be surprised how many people don’t know what exactly a scientist is or does in their daily life. Many think that scientists are those crazy people walking in their white lab coats uneasy to talk to and without a social life. Yes, we all know some of them. Old-fashioned academics have established a culture where socializing might be considered a taboo for a scientist. However, I think more scientists should get out of their bubbles. This would help scientists gain more credibility and importance in society. Scientists can have a great impact on our economy. A strong economy often reflects a nation’s investment in research and development. Nevertheless, only a limited number of scientists have any sort of influence in government policies that aims to improve people’s lives. Why? Haven’t we scientists been too busy in our little world? Isn’t it time to speak up? 5. Help journalists better understand your science and avoid sensationalism. There is an insatiable appetite for knowledge today, with people as interested and enthusiastic about science as they have ever been. This places a great responsibility on the shoulders of science journalists to get the message and the science right. While many professionals will look at the original research and check information with experts before publishing their stories, some do not, or they skip these important steps because of tight deadlines. Unfortunately, poorly documented science stories can have far-reaching consequences. How many times has your mother told you, “I heard in the news there is a new cure for cancer.” Although big strides have been made in cancer research, as experts, we know there is still a long way to go. Scientists are the true experts on what they do and the ones who can inform the public either directly or indirectly about their work. With practice, you can communicate clearly about your science without compromising the facts. Why should I care about social media? I already have a super busy schedule. But we live in an era of social media and networking, and ignoring it is a missed opportunity. Facebook, Twitter and blogs are fantastic ways to be a science communicator, especially for those who don’t like to be on stage or interact with people in person. Platforms like ResearchGate and Mendeley are a good way to interact with many other scientists from different communities and get different point of views while making others aware of your research. Trust me, the social media networking I engaged in after Falling Walls and FameLab has been really amazing. How many chances will you get to talk with a Nobel Prize winner and other esteemed scientists and get feedback from them? Or to communicate with presidents of companies like IBM or Siemens. Or to interact with influential politicians and world leaders. The Falling Walls Lab Berlin had an online stream link to follow the talks from everywhere in the world. Even when I was a bit skeptical to share it, I realized it was a great chance to share what I was doing as a scientist. My friends and family sat that day in front of the TV and watched on my talk on livestream. Then they shared it with their friends. To be honest, that has just brought me many good things. I got many chances to give interviews for general newspapers and radio, talking about the importance of science and my topic in particular. I’m still in touch with some alumni from the Falling Walls lab, taking part in science slams and collaborating in other initiatives to promote science. I feel overwhelmed and really happy to have had all these chances to spread science. And many people I knew who had never shown any interest on research, or maybe were afraid to ask, are now happy to hear about my research on nanoparticles. Above all, be generous and give credit to your peers who are practicing this open way of science for everyone. Be true to your values and reject those critics and purists who think scientists should stay in their labs. Instead, use your energy to engage with your colleagues and encourage them to educate others about their work and show them the value of communicating about science. It is through such conversations that the whole culture of science can change. The Falling Walls Lab is an international platform for young researchers, entrepreneurs and scholars. Partner universities and research institutions all around the world are invited to host a Falling Walls Lab, where these innovators present their ideas to meet the world’s challenges. Those selected for the finale in Berlin have exactly 3 minutes each to present their project to the jury and their 100 peers and convince them of its impact and relevance. The three winners are awarded the title Falling Walls Young Innovator of the Year and get the chance to speak at the international Falling Walls Conference on November 9. The contest is open to bachelor’s, master’s and PhD students, postdocs and young professionals whose latest university degree was completed within the past five years. The deadline is August 31. Apply here.